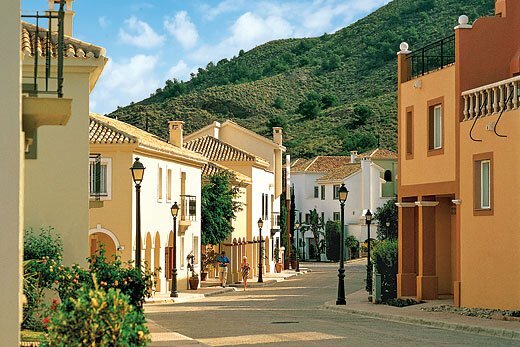 The Las Lomas Townhouse II is a fantastic base from which to explore beautiful Costa Calida. La Manga Club´s excellent spa is a few footsteps away, as are two top-notch restaurants, and you can drive to all the facilities in the resort within a few minutes, including three golf courses, 28 tennis courts and a fantastic selection of restaurants. With free air conditioning, Wi-Fi, cots and highchairs, Las Lomas townhouses are perfect for families; take a dip in the communal pool or just soak up the rays. The fully equipped kitchen means you can prepare your own meals to be enjoyed on the terrace as the sun goes down. For indoor evening entertainment, satellite TV is provided too. If you enjoy the outdoor lifestyle then Las Lomas is the place for you. You can participate in all the many activities offered at La Manga Club such as water sports, trekking, diving, horse riding, mountain biking and much more. It´s hard to get bored at this all-inclusive resort. These types of property are typically of a similar design but can be different in layout, decor and furnishings.